1.1 WHM Global operates within the lodging, travel & tourism industry and provides representation solutions, marketing and consultancy services to resorts, hotels and lodging service operators. 1.2 WHM Global and the hotel wish to enter into this agreement under which whm global will provide specific system delivery, revenue management and sales & marketing services to the hotel. 2.1 Whm global utilises a suite of software, distribution and marketing applications as set forth in membership services (schedule a) for resorts, hotels, and lodging service operators. 2.2 Whm global provides web access through the group consumer portal via a central reservation management system that enables the hotel to manage and update inventory, availability, and rates. 2.3 Unless specified in schedule a, any other services mentioned below are not applicable. 3.1 Hotel information means all rate, inventory, rooms, digital, and other information, regardless of format, provided by hotel to be use by whm global to support the sales and services of this agreement. 3.2 Gds means the computerized global distribution systems commonly known as sabre, travelport (including galileo, worldspan) and amadeus. 3.3 Reservation system means the central reservation system and all supporting application programs and interfaces as operated by whm global, or third part providers that perform the reservation services. 3.4 Reservations data means reservation rate and availability information, and information relating to the making and cancelling of reservations. 3.4 Switch means the combination of networks, hardware and software operated by whm global, and their third party providers, for the purpose of transmitting reservations data between third party systems and hospitality central reservation systems. 3.5 Third party system means an electronic system operated by a party other than whm global that displays and transmits reservations data, including without limitation the electronic global distribution systems commonly known as sabre, galileo, worldspan and amadeus but excluding any system performing central reservation or property management functions. The accounting period is each twelve (12) month calendar period ending on each december 31. A full fiscal year shall consist of twelve (12) periods of between 28 and 31 days each (“accounting periods”). Any period, consisting of less than twelve (12) accounting periods is called a partial fiscal year. Whenever the term fiscal year is used, it means both full and a partial year unless specifically stated otherwise. The first fiscal year is a partial fiscal year and starts on the opening date and ends on 31 december. 3.7 Hotel is the property located inset hotel name including the hotel consisting of insert number guest rooms and related facilities in and around it. The hotel, is at the date of agreement, fully fitted, furnished and equipped in accordance with whm global standards and requirements in accordance with the terms of this agreement. 3.8 Term has the meaning set out in section 17. 3.9 Working day represents any day other than a saturday and sunday or a public holiday in the united kingdom. Working day represents any day other than a saturday and sunday or a public holiday in india, and working day represents any day other than a friday and saturday or a public holiday in the united arab emirates. 3.10 Additional services means any services other than the financial services, third party services, consultancy services or marketing services to be provided by whm global to the hotel in accordance with the provisions of this agreement. 3.11 In this agreement and in the exhibits, unless the context otherwise requires or unless otherwise specified. 3.12 Any reference to “persons” includes individuals, bodies corporate, companies, partnerships, unincorporated associations, firms, trusts and all other legal entities. 3.13 Words denoting any gender include all genders and words denoting the singular include the plural and vice versa. 3.14 The following clause headings are for convenience only and do not affect the interpretation of this agreement. Any reference to a clause or schedule is to the relevant clause or schedule of this agreement. 3.15 Any reference to statutory provision is a reference to it at the time being, taking account of any change, extension, consolidation or re-enactment and includes any subordinate legislation for the time being in force made under it. 4.1 Whm global agrees that on the date of this agreement it will provide a fully completed hotel integration programme for each hotel included in this agreement upon a fully completed standing order for payment of the reservation fees. 4.2 At any time after the date of this agreement, the hotel shall be entitled to request whm global to provide services in respect of an additional hotel under the same management or ownership. In the event that whm global agrees to such request, a fully completed hotel integration programme. 4.3 After completion of the hotel integration programme, whm global will provide gds channel and ids channel connectivity and reservation messaging for the relevant property under the chain code. 4.4 In respect of any agreement, whm global shall issue to the hotel on the commencement date an invoice for the hotel integration programme, membership services and all connectivity fees payable upon signing the agreement. 4.5 Whm global will complete the transfer of existing chain codes and/or obtain new chain codes if requested by the client on the terms provided herein and at prices that are to be separately negotiated at the time. 4.6 The hotel agrees that on the operational date, and on a periodic basis throughout the term, it will ensure that all the data and information in the reservation system is up to date, accurate and does not contain any omissions and that all booking channels are open for the receipt of bookings. 4.7 The hotel agrees that it is entirely responsible for the data and information in the reservation system and that whm global shall have no liability for any incorrect or incomplete data or information in the reservation system or any liability, loss, damage, expense, cost or claim suffered or incurred by the hotel arising directly or indirectly from such incorrect or incomplete data or information. 5.1 In respect of this agreement, with effect from its operational date, whm global grants to the hotel a limited, non-exclusive, non-transferable, assignable and revocable licence to use the reservation system during the term relating to such property in accordance with the provisions of this agreement. 5.2 Whm global hereby agrees that in consideration of this agreement, it will provide to the hotel the membership services specific to that hotel as set out in schedule a. 6.1 Whm global will on behalf of the hotel offer rooms for bookings with effect from its operational date under the agreed lu chain code using the availability and rates supplied, authorized, or entered by the hotel. 6.2 With effect from its operational date, the hotel agrees to pay whm global the reservation fee for each reservation delivered by the reservation system. 6.3 The hotel will not alter any software code or messaging facility to avoid payment or for use other than as provided in this agreement. 6.4 The hotel understands and agrees that whm global will issue a confirmation to third parties for all reservation requests made through the reservations system for which the hotel has entered or supplied rates and availability. 6.5 The hotel agrees that it will notify whm global promptly of any changes to any information supplied by it to whm global and will keep whm global and the holder of a confirmed reservation made through the reservations system (or his agent or representative) informed of any developments affecting the reservation. 6.6 The hotel agrees to honour any confirmed reservation made through the whm global at the rate, terms and for the period of the stay confirmed. 6.7 Whm global do not accept responsibility ‘over-bookings’ and will only offer support where and when we are able to do so. In this event, the hotel agrees that it will be responsible for the provision of comparable accommodation, goods and/or services, at no greater cost, and for the payment of any reasonable expenses incurred, for any holder of a reservation for whom a booking has been confirmed through whm global and for whom no accommodation, goods and/or services are available upon arrival. 6.8 The agrees hotel that it will indemnify and hold whm global harmless from any liability, loss, damage, expense, cost or claim suffered or incurred by whm global in connection with the failure of the hotel to honour a confirmed reservation made through whm global. 6.9 The hotel will extend to whm global rate plan at parity with its lowest contracted or publicly available rate through any other channel including any direct extranet agreements. 7.1 WHM Global will provide representation for the hotel in Sabre, Travelport (Galileo and Worldspan) and Amadeus global distribution systems (collectively the “GDS”). WHM Global will deliver to the hotel any reservations, modifications and/or cancellations that are generated through the GDS channels on a daily basis via e-mail. WHM Global requests that hotel include WHM Global master chain code (“LU”), as well as the hotel’s GDS codes on all hotel brochures and travel agent oriented material. 7.2 WHM Global reserves the right to reclassify the hotel into sub chain codes under the master chain code (“LU”) with 60 days prior notice to hotel. 7.3 Additional terms and conditions of this agreement are set forth in the pricing schedule. 7.4 As part of this agreement, the hotel is required to provide complete information about the hotel electronically. It is also agreed that WHM Global has the right to book reservations for the hotel at all times, that the hotel is open for business at the same rates available at the hotel, unless the hotel has sent close out instructions to WHM Global reservations system. For each reservation generated for the hotel, WHM Global will forward the travel agent information where applicable to the hotel with the reservation. 7.5 It will be the responsibility of the hotel to maintain current room rates and inventory on RVNG portal, login credentials will be provided by WHM Global once the property is Live on GDS. 7.6 WHM Global will invoice the hotel on a monthly basis for all reservations received through GDS based on the reservation made date of the guest on or before the 10th working day of every month in British Pounds (GBP). 7.7 All transactions under this agreement are payable in GBP to WHM Global office in London, united kingdom. All Invoices shall bear interest if not paid within the thirty day (30) period. Any fees WHM Global incur in the collection of past due amounts including legal fees, expenses and court costs shall be the responsibility of the hotel. 7.8 WHM Global will use currency exchange rates from xe.com to convert the invoice amount from Property’s local currency to Great British Pounds (GBP). All invoices should be paid in GBP. 7.9 The hotel can dispute any reservation fees they deem to have been made in error within 30 days of receiving the invoice. A detailed report of the disputes should be emailed to your Account Manager. 7.10 After 30 days, the hotel loses the right to adjust the invoice. If any reservation fees are made in error, the invoice will be amended accordingly. 7.11 All invoices from WHM Global, including set up fees and other associated fees are due within 30 days of receiving the invoice. Your nominated bank account / credit card will be debited on the due date of the invoice, in accordance with our 30 day credit terms. If direct debit payment fails for any reason, WHM Global reserves the right to impose a penalty administration charge of GBP 40. WHM Global reserves the right to suspend GDS services to the hotel without notice if your invoice is overdue by 15 days. It is the responsibility of the client to keep their direct debit details up to date. 7.12 Should the guest cancel or fail to arrive (no-show) and if the penalty is charged to the guest as per the cancellation/ no show/ amendment policy of the Hotel, the hotel is liable to pay WHM Global the commission and booking fee. 7.13 WHM Global from time to time has the right to pass down any increases in GDS transaction fee costs to the hotel as and when they get applicable and will be reflected on Monthly Invoice. Such increases may incur at any time during the term of the agreement. 7.14 The cost and payment of travel agent commissions for travel agents is the sole responsibility of the hotel and failure to do so may result in termination. 7.15 It is the hotel’s sole responsibility to provide WHM Global with current and accurate information regarding cancellation policies, minimum stay requirements, rates, availability, amenities, location, or any other information or update the information on to RVNG directly that may reflect the current positioning of the hotel. Should the hotel fail to provide WHM Global with such information, WHM Global will not be held responsible for any liability or other expense arising from such action, and the hotel will indemnify WHM Global for any liability or expense incurred (including legal fees and expenses) resulting there from. 7.16 The duration of this agreement will be for a period of 24 months or different if stated separately on the service agreement from the date the hotel is activated on GDS. The agreement will renew itself for a period of 12 months from each anniversary renewal unless either party gives at least ninety (90) days notice, in writing, in advance of the renewal date. 7.17 The hotel shall remain liable for all dues to WHM Global pursuant to this agreement not withstanding the termination of this agreement. In the event of early termination of the agreement by the hotel prior to the expiration of the initial term for any reason other than breach of this agreement by WHM Global, the hotel shall be required to pay a termination fee equal to the average monthly payment multiplied by the remaining months of the initial term due by the hotel pursuant to this agreement. WHM Global will provide the hotel with a final invoice including all future reservations payable to WHM Global within thirty (30) days of receipt of invoice. WHM Global will allow the hotel the standard allowance of 5% as an adjustment to the final billing for reservation no-shows and cancellations. 7.18 In the event the hotel violates any of the terms of this agreement, WHM Global may (i) immediately suspend representation of the hotel on all the GDS channels upon written notice to the hotel(ii) terminate this agreement upon thirty (30) days written notice to the hotel. Violation can include, without limitation, failure to honour at the hotel a reservation confirmed by WHM Global’s GDS Channels in accordance with this agreement (a “confirmed reservation”), non-payment of travel agent commissions as well as not adhering to the requirements stated in clauses 8 and 12. The hotel may terminate this agreement upon thirty (30) days written notice to WHM Global in the event of a breach by WHM Global as the terms of this agreement or a failure by WHM Global to perform timely and accurate services to the hotel hereunder. In each case, this agreement will not be terminated if the cause for breach by either party is corrected within the thirty (30) day written notice period. 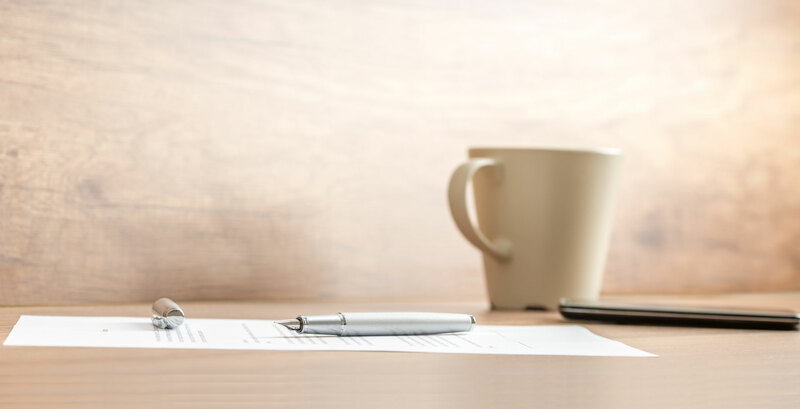 Upon any termination or cancellation of the agreement, the parties hereto agree to perform their respective obligations hereunder through and until the effective date of termination or suspension. In any case, the hotel agrees to pay WHM Global all fees due under this agreement. 7.19 The hotel will indemnify and hold WHM Global and its hotel, including without limitation their respective officers, directors, shareholders, partners, employees, and agents (collectively the “WHM Global”) harmless from any liability that may be incurred in connection with WHM Global taking reservations for the hotel. The hotel agrees to honour, or cause to be honoured, all reservations confirmed to WHM Global based upon the information the hotel has supplied to WHM Global. Should any reservations taken by WHM Global be dishonoured at the hotel, any and all liability will be the responsibility of the hotel shall indemnify and hold the WHM Global harmless from any and all such liability. In the event the hotel is unable to honour at the hotel a confirmed reservation, the hotel accepts full responsibility for obtaining and agrees that it will obtain comparable alternative accommodations for such guest. Room rate differences and additional transportation costs incurred by such guest are the responsibility of the hotel. 7.20 WHM Global shall not be liable for loss of revenue and / or profits whether or not such damages were foreseen or unforeseen and regardless of whether WHM Global had received notice or had been advised or knew or should have known of the possibility of such damages or losses. In addition, WHM Global will not be liable for any loss, claim for damages caused in whole or in part of any act of omission or negligence by WHM Global including but not limited to any act or omission in providing any services to the hotel. 7.21 Third party vendor fees – any increase in third party vendor fees charged to WHM Global as a direct result of its delivery of the services may be passed through to the hotel following the increase with immidiate effect. 7.22 This agreement is binding on the hotel and any assignee, acquirer, or successor in interest (including any new management company). The hotel will notify WHM Global within 7 days of any change of property’s name/ownership/branding or classification rating. 8.1 As set out in schedule a, whm global will provide hotel with membership services with fees paid as per the terms in section 10 – fees and payment. 8.2 The hotel undertakes that whilst this agreement remains in force, it will not enter into any contract for services similar to the whm global membership services with any central reservation system supplier, gds channel supplier, ids channel supplier or any other booking engine provider or alternative provider of any additional services being provided by whm global. 8.3 The hotel will provide to whm global a minimum of three images of high quality for use with marketing communications. These may be in addition to the core images used or uploaded to the whm global system. If high resolution images are not provided within one month of the effective date, whm global reserves the right to hire a third party to take such images. Such costs will be billed plus any administration fees to the hotel to be paid in accordance of the billing terms of this agreement. 9.1 With effect from the date of this agreement, whm global will to provide the hotel with training for all technologies including access to the reservations systems. Provision of all tutorials and an initial set-up training demonstration will be provided and is included in the agreed fees. The hotel acknowledges that whm global may, in its absolute discretion, have to amend or suspend availability of training facilities from time to time. 9.2 Any additional training requests or requests for on-site training would be charged by whm global at an agreed rate per day. 9.3 All costs relating to whm global onsite training including accommodation and meals will be at the cost of the hotel. 10.1 Whm global shall issue an invoice to the hotel in respect of the reservation fees at the end of each calendar month for all the reservations consumed during that calendar month at the agreed commission set out in schedule a. 10.2 System delivery fees and membership services shall be paid within 14 (fourteen) days of the date of whm global invoice. 10.3 Whm global shall issue an invoice to the hotel in respect of the membership services. 10.4 At the start of each calendar year for all full membership services. 10.6 In respect of all invoices issued, the hotel agrees to pay invoices by the means specified in the signing order to whm global within 30 (thirty) days of the date of whm global invoice. 10.7 In the event of electronic transfer (bacs) the hotel is responsible for any costs associated with said transfer. In the event of payment by credit card, the hotel agrees to pay a credit card processing fee. 10.8 If the hotel fails to pay whm global any sum due to this agreement, the hotel shall be liable to pay interest to whm global on such sum from the due date for payment at an interest rate of % per annum accruing on a daily basis until the date on which payment is made in full. 10.9 Whm global shall have the right to suspend all or any of the membership services in the event any payment not made by the due date. In the case of any suspension of all or any of the membership services, if the hotel makes payment arrangements, whm global may decide to reinstate all or any of the membership services. Whm global reserves the right to charge the hotel a fee of an amount equal to the cost to reinstate technology operations. 10.10 All pricing and fees under this agreement are exclusive of taxes. The hotel will pay any “value added tax”, sales or use tax, “goods and services tax”, federal, state, county, local or other governmental taxes, fees or duties now or hereafter imposed on the licensing, export, use or possession of an interface or use of reservations systems. The hotel shall fully and effectively indemnify whm global for any and all such taxes, fees and duties, and all costs, charges, expenses and liabilities relating thereto suffered or incurred by whm global. 10.11 All payments by the hotel shall be made without deduction or withholding except as required by law. 10.12 The hotel will pay for all reasonable travel, accommodation and subsistence costs incurred by whm global in connection with consultancy services to the hotel where overnight accommodation is required. 10.13 Whm global reserves the right to increase fees upon each anniversary of the commencement date of this agreement for any connectivity or membership services. Such increases shall not exceed eight per cent (8%). Third party or switch fees may be increased at any time the gds, ids, or switch fees charged to whm global are increased. This will be advised as soon as increases are advised to whm global and all supporting documentation can be observed to support such action. 10.14 Bank transfers are to be made according to your invoicing currency and the details laid out in our invoices. 11.1 Each party will designate an account contact who shall have the responsibility to administer the relationship and services under this agreement. 12.1 The hotel will place on their web site the relevant logo of either whm global or its subsideries depending on the services provided and will maintain a live link to the relevant whm global or subsidiary member site. 12.2 In the event the hotel is under the “platinum Package” the hotel agrees that it will without exception place the relevant whm global or subsideries logo upon all collateral produced by the hotel. 13.1 Whm global retain hotel information solely as commercial records and solely for the documentation of correspondence and messages relating to contractual obligations and inquiries relating thereto or as required by law. 13.2 All hotel information shall be considered confidential information hereunder and neither party shall have the right to disclose, sell or use any data or customer information except only to carry out its respective responsibilities as provided for in this agreement or as required by law. 13.3 Neither party shall make any copies of sensitive data associated with the services of the other party except as explicitly authorized by this agreement or as required by law. 13.4 Neither party shall have the right to manufacture, modify or copy any user documentation, including, but not limited to, system operation, training programs or help screens of the other party. 13.5 Except as provided by this agreement, neither party shall at any time use or disclose any confidential information of the other which it has or which it acquires. 13.6.1 Such disclosure is required by law or by government. 13.6.2 Such confidential information has come into the public domain. 14.1 The hotel agrees that it will not, at any time whilst this agreement remains in force and for a period of twenty four months following termination of this agreement directly or indirectly solicit or attempt to solicit any employee of whm global who has been directly engaged in the provision of services to that hotel. 15.1 Except as expressly set out in this agreement, whm global disclaims and excludes all representations, warranties and implied warranties, including without limitation, warranties of merchantability, fitness for a particular purpose, accuracy of data and any other implied warranties arising from a course of dealing or course of performance. 15.2 The hotel acknowledges and agrees that it has not entered into this agreement in reliance upon any representation, covenant, warranty or undertaking made or given by or on behalf of whm global except as expressly set out in this agreement. 16.1 Each party (the “first party”) undertakes to defend the other party (the “second party”) from and against all third party claims (“claim”) brought against the second party to the extent such claim arises from a breach by the first party of its representations and warranties set out in this agreement or a breach of its obligations under this agreement. Each party agrees that the first party shall indemnify and hold harmless the second party from and against all costs, claims, demands, liabilities, expenses, damages or losses (including, without limitation, all reasonable and proper legal and other professional costs and expenses) arising out of any claim provided that (a) the second party promptly notifies the first party in writing of any claim brought or threatened against it; (b) the second party gives the first party sole authority to procure the defence or settlement of the claim; and (c) the second party makes no admissions in respect of the claim. 17.1.3 Any matter that cannot by law be limited or excluded. 17.2.3 Any loss arising from interrupted communications. 17.3 Notwithstanding any other provision in this Agreement, the total aggregate liability of WHM Global to the Hotel in respect of any and all matters arising under or in connection with this Agreement shall not in any event exceed the aggregate amounts paid by the Hotel to WHM Global hereunder in the three month period preceding the event giving rise to liability on the part of WHM Global. 18.1 This Agreement shall continue in force for a period of two (2) years beginning from the Operational Date unless and until it is terminated in accordance with the provisions of this Agreement. 18.2 The Term shall automatically be renewed for a further period of one (1) years and thereafter shall automatically be renewed at the end of any subsequent period of one (1) year unless and until the Term of that Property is terminated by either Party. Each Party will provide not less than 90 (ninety) days’ written notice to terminate the Agreement. 18.4 If any fees or charges payable hereunder remain unpaid for 60 days or more after the due date for payment. 18.5 If the Client shall fail to comply with its obligations within 60 days of the date of this Agreement. 18.6 This Agreement may be terminated immediately by either Party by giving written notice to the other Party, if a receiver or administrative receiver is appointed in respect of the whole or any part of its property or assets. 18.7 In the event that Hotel undertakes a sale or other transfer of the Hotel of all the assets, or a change in the control or management of the Hotel, the Hotel shall give WHM Global notice of the proposed sale or other transfer at least thirty (30) days prior to the occurrence of such event. 18.8 Any termination of this Agreement will be without prejudice to any rights that have accrued before such termination, including, without limitation, any fees and payments accrued due to WHM Global which shall remain repayable. 18.9 Upon termination of this agreement, WHM Global will immediately discontinue all Reservation Systems and Membership Services provided to the Hotel. The Hotel shall not be entitled to receive any refund or rebate from WHM Global for any fees and payments made irrespective of any date after the date of termination. 18.10 In the event of early termination of this Agreement, Hotel agrees to pay to WHM Global the Monthly Fees for the remaining term of the Agreement plus Monthly Fees on system delivery booking based on an average of booking from the same period on the prior year. 18.11 The Hotel may not assign or transfer or sub-licence this Agreement to any third party without the prior written consent of WHM Global. 18.12 WHM Global reserves the right to terminate this contract, provided a thirty (30) days notice period is submitted in writing. 19.1 This Agreement sets out the entire agreement of the Parties, and supersedes any and all prior oral or written agreements or understandings between the Parties, as to the subject matter of this Agreement. 19.2 WHM Global shall be entitled to vary the terms of this Agreement from time to time provided that it shall notify the Hotel by setting out such varied terms in writing to the Hotel at least thirty  days before such variations shall come into effect. 19.3 In the event that any provision of this Agreement is declared by any judicial to be void or unenforceable, such provision shall to that extent be deemed, and the remainder of this Agreement shall not be affected. 19.4 The Parties are independent contractors and nothing contained in this Agreement constitutes a partnership, agency, joint venture, employee-employer or franchisor-franchisee relationship between the Parties. 19.5 Neither Party is authorised to make (nor will it make) any warranties, representations or undertakings to any third party on behalf of the other Party. 20.1 Any notice in connection with this Agreement shall be in writing in English, delivered by hand, or by an internationally recognised courier company sent to the addresses as set out in this Agreement. 21.1 Neither Party will be liable for any failure to fulfil its obligations under this Agreement due to causes beyond its reasonable control, including acts or omissions of government or military authority or activity, acts of God, telecommunications and/or connectivity failures (including any Internet failures and any interruptions or failures in services of Internet Service Providers, GDS distribution systems or connectivity providers to such systems), transportation delays, earthquakes, fires, floods, labour disturbances, riots or wars. 22.1 This Agreement is governed by the substantive law of England and Wales. 22.2 In this Agreement, “Dispute” shall mean and include any difference or dispute between the Parties to this Agreement and shall include any question as to the validity or interpretation of this Agreement and any Dispute arising before or after termination of this Agreement. 22.3 As soon as it becomes aware of a Dispute, a Party shall give notice in writing (a “Notice of Dispute”) to the other Party identifying the Dispute or Disputes and giving sufficient particulars to allow the other Party to understand the nature of the Dispute or Disputes and the approximate value of any claim or claims made. 22.4 Unless WHM Global shall so elect, all Disputes shall be referred to and finally resolved by the Courts of England and Wales for which purpose each of the Parties irrevocably agrees to submit to the exclusive jurisdiction of the Courts of England and Wales.